I write on this subject with a degree of caution, as it is a complex issue that I have only been following closely for the past few months, and seems to have been going on for a considerable amount of time. the WSRA, which is the main support body of the WSR as a whole, appears to be losing its way, being out of touch with members and the PLC which runs the railway. It would appear that the main problem lies with a number of the trustees and the chairman who are on a personal ego trip. Examples include the botched attempt to purchase the freehold of the railway whilst the PLC was negotiating a new lease from the council which has now resulted in an inquiry into the conduct of certain persons, and the recent WSRA AGM, where almost all the attending members left the meeting half way through in disgust at the way the meeting was conducted by the Trustees. The reconvened meeting was held at a seemingly purposely inconvenient time of Sunday evening, yet still people turned up and still people “voted with their feet” and walked out in disgust yet again. This followed a thoroughly unfair run up to the Trustee elections with evidence of Gerrymandering from existing trustees including ringing up members, sending out extra information that other prospective candidates couldn’t and co-opting a seemingly unheard of person to fill the position who had no reason to be co-opted (usually some sort of special skill like finance). As a result of this, members are calling for an EGM (extraordinary general meeting) to be held to remove certain trustees. 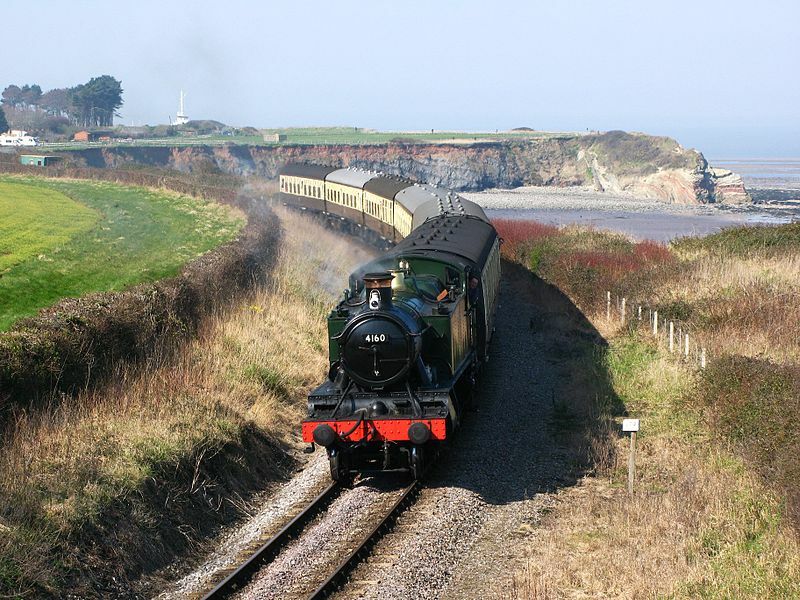 “West Somerset Railway Developments” thread on national preservation forums – arguments relating to current problems start mid-way through – it’s a long read! “WSRA Trustee Election Hustings” thread on national preservation forums – this thread is now locked but contains quite a bit on the Gerrymandering in the run up to the elections. If any readers have any questions I would suggest either emailing the reform group through their website or on the “West Somerset Railway Developments” thread on National Preservation. Interesting post, we are entering a new age when it comes to heritage lines the as last 50 years they have been fighting to open and establish themselves, the next 50 years they will be fighting to survive and not all the railways will survive. The inhouse problems the West Somerset are having will only hinder their chances of survival. I note your cautionary intro. You are right to raise the WSRA issues in your blog. However. Much of what you have written has been influenced, I’d say, by what you have read in the three references for which you have give links. Much is based on opinions rather than fact. There is only one item mentioned that is actually evidence of wrong-doing by the WSRA trustees and that is the issuing, using WSRA resources, of a further canvassing letter on behalf of the three re-electee candidates – an opportunity not extended to the other candidates. The resulting election saw these three swept back into power with huge majority votes compared with the other candidates. I declare a perosnal interest as I, Steve Edge, was one of those failed candidates. I apologise for the lateness of this reply but in the run-up to the 2015 WSRA trustee elections, I am now spending time trying hard to bring real evidence to the WSRA membership so they might be better placed to make voting decisions this time round. I have tried to concentrate on matters of concern where there is either a) evidence of wrongdoing or b) questions that remain unanswered and c) communication that can be described as poor or misleading or lacking. Hence a blog called WSRA+ – stuff that WSRA members might like to know about at https://wsraplus.wordpress.com/ and I hope you allow this space to help WSRA members realise there are things to ponder about. Thank you in advance. Steve, fair enough, but what I wrote was based on what I think you’ll agree was, if not fact, general consensus amongst all but trustees. I did email this to RW to check I hadn’t said anything daft and was returned with a seal of approval. The main aim of this post was just to highlight that there were problems and that further reading was available. It was never going to be as carefully written as WSRA+ as I’m simply not as familiar with everything as I’d like to be, despite following it for some time. Next blog post on the WSR should be more cheerful, as I’m hoping to make it to the SSG coming up fairly soon, so looking forward to that. Hi Alex – thanks for kind reply. I wasn’t meaning to get at you or anything. For whatever reason the WSRA trustees have done little to counter the claims from the likes of Robin – seemingly they choose to gain comfort/security from the lack of real evidence to support the “reformers” claims. I’m not surprised Robin approved of your words! I’m trying to fill in the gaps that Robin has left. Anyway, I’m truly glad to know you’re hoping to be at the SSG. Hope you have a fab time on the railway. With best wishes from Steve. Perhaps someone on here can explain,why the WSR representative ,on the board of the WSRA did not report back to the Plc ,that the WSRA intended to proceed with a bid for the freehold. Did the Plc when they decided not to proceed with the freehold bid,advise the WSRA of the problems,surrounding the purchase of the land. As a long standing director of 4160 Ltd,i am very concerned ,by the in fighting that is going on,within the WSRA membership. History tells us that revolution,is not a healthy way to proceed,but fair negotiation,is a far better course of action. The verbal onslaught,by the leading protagonist ,can only create division,it seems to me there are other agendas ,in train here, that are not apparent at this time. to come to light,regarding this matter but,to just to use WSRA as a scapegoat ,to push another agenda is not the way for forward. Fair enough, but the way I see it is that the WSRA is not serving it purpose of supporting the railway, the and current reform movement is the only credible way of changing that, whether you think it’s a good thing or not! Having spent the last 22 years,negotiating with Plc over varies issue’s,i speak with some experience,there is lot wrong under the surface of the Plc,and as Steve Edge has pointed out,facts, are what is needed here ,not hearsay , it is not a revolution ,driven by pro Plc supporters ,but sensible decision making. I have had to witness at close hand,one of my co directors and friend bullied by them for the last two years and the effect it has on him,so if we are having a reform movement,we should look at the railway as a whole……. Plenty of evidence of WSRA wrongdoing now. Following losing a vote of ‘no-confidence’ at the first on 10 May 2015 EGM, the WSRA Trustees merely swapped Chairman and vice-Chairman round and carried on regardless. Oh, except that they suspended the one decent Trustee who, quite by coincidence (!) was due the next day to examine the voting records of the EGM which are in considerable doubt, in particular the resolutions to remove 3 Trustees which were declared to be ‘lost’ by a handful of votes but which the Trustees have resisted tooth-and-nail having independently verified.. Their second, post ‘no-confidence’ action was to begin a process to attempt to end the WSRA membership of 4 of the 9 of us who had promoted the vote of ‘no-confidence’ the Trustees lost. The incompetence and disregard for fair procedure with which this has been done is amazing. Do check that out at http://www.wsra-action.org. A new vote to remove the 6 troublesome Trustees at the AGM on 25 July should sort matters out and allow peace to return to the WSRA and WSR. I would respectfully suggest that Mike C does not believe everything he is told without checking the facts out for himself. Its all available on line – do start with the attempted membership terminations – right and wrong is pretty simple to divine there.